We generally use flash based websites (like speedtest.net & whatismyip.com) to test our Internet speed but as Linux admin we love to test Internet speed from the command line or terminal. 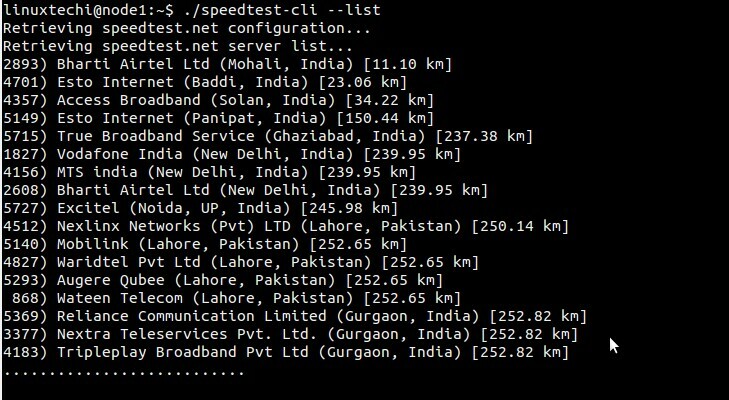 speedtest.cli is command line tool which is used to test Internet bandwidth from the terminal on Linux like Operating system. In this post we will discuss how to install and use speedtest.cli on Ubuntu Linux. Go to Link https://www.speedtest.net/result/4215178617.png , there you will see the result of your internet speed as an image as shown below. 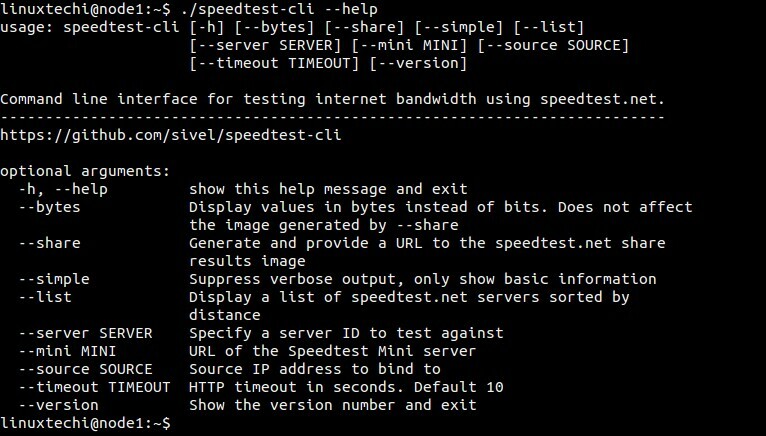 Show the list of ‘speedtest.net’ Servers against which we can test Internet Speed. Check Internet Speed against the Specific Server. Use the server ids listed in the above example.